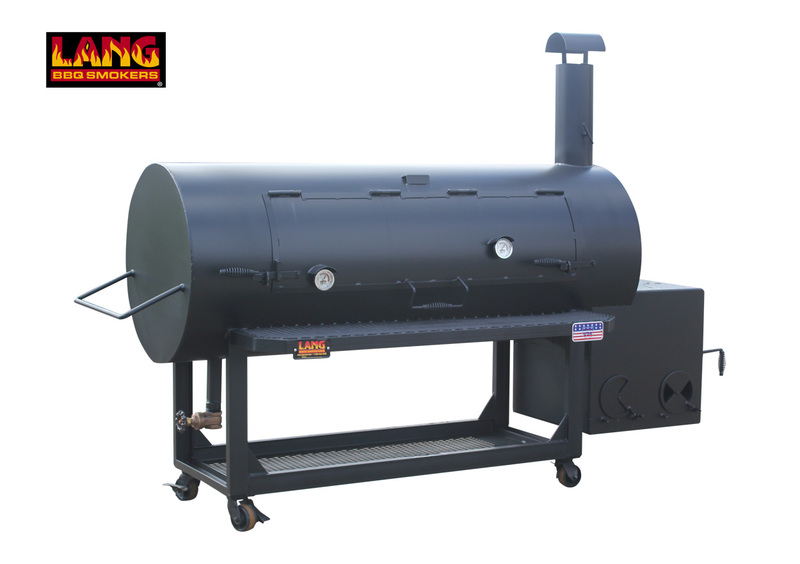 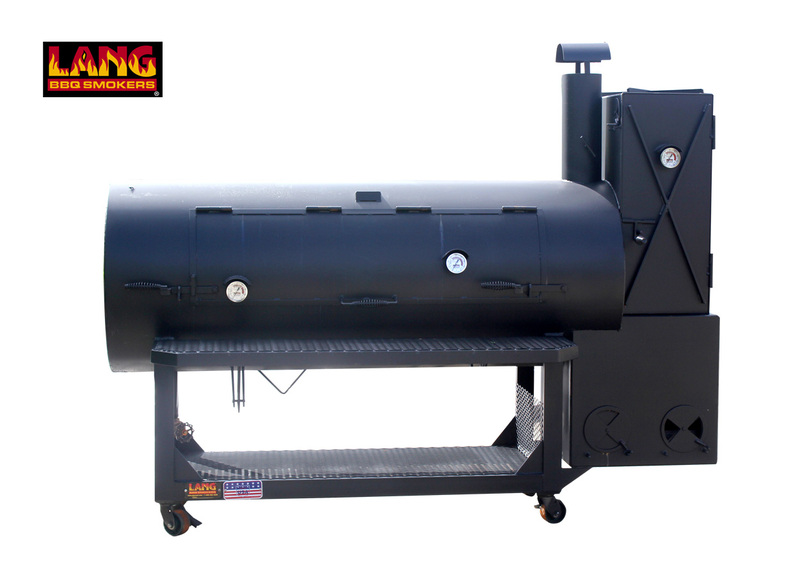 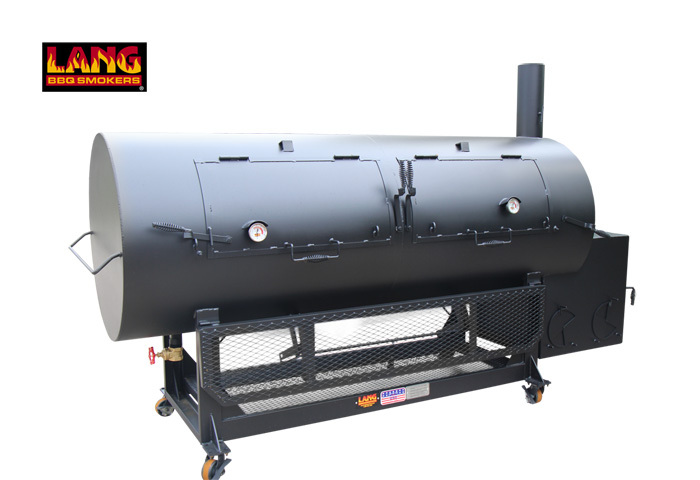 Shipping for smoker cookers is NOT calculated at the time of purchase. 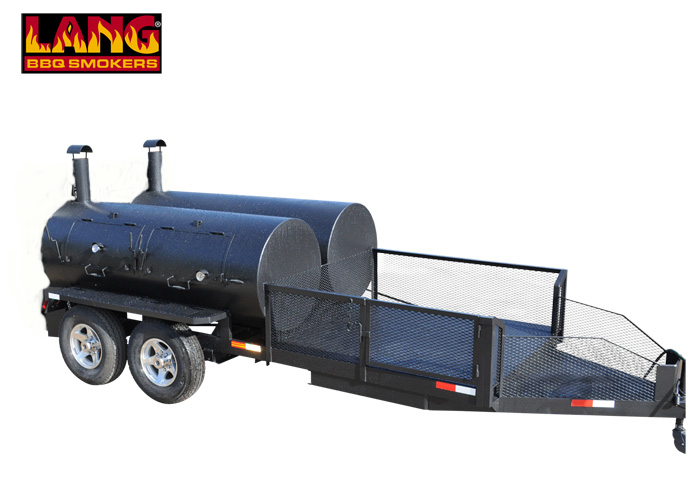 You can request a FREE shipping quote by clicking here. 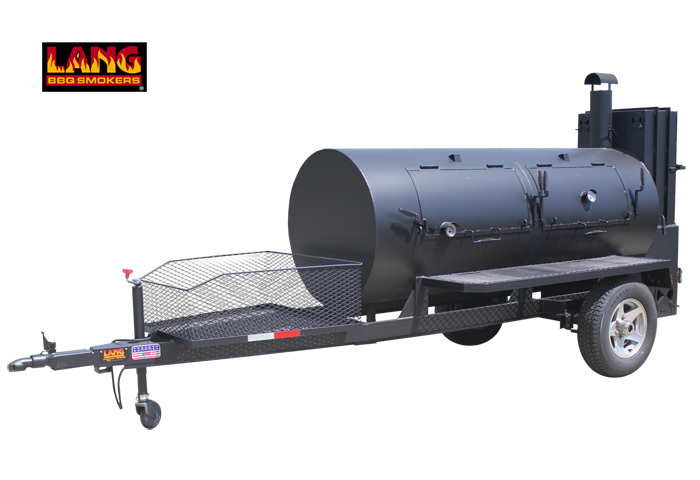 These specials get you significant savings! 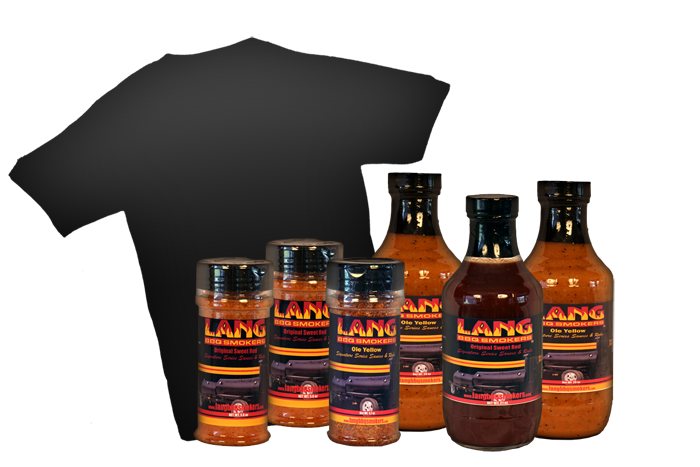 Choose any 3 sauces and any 3 rubs, along with your shirt size for one of the two offered shirts! 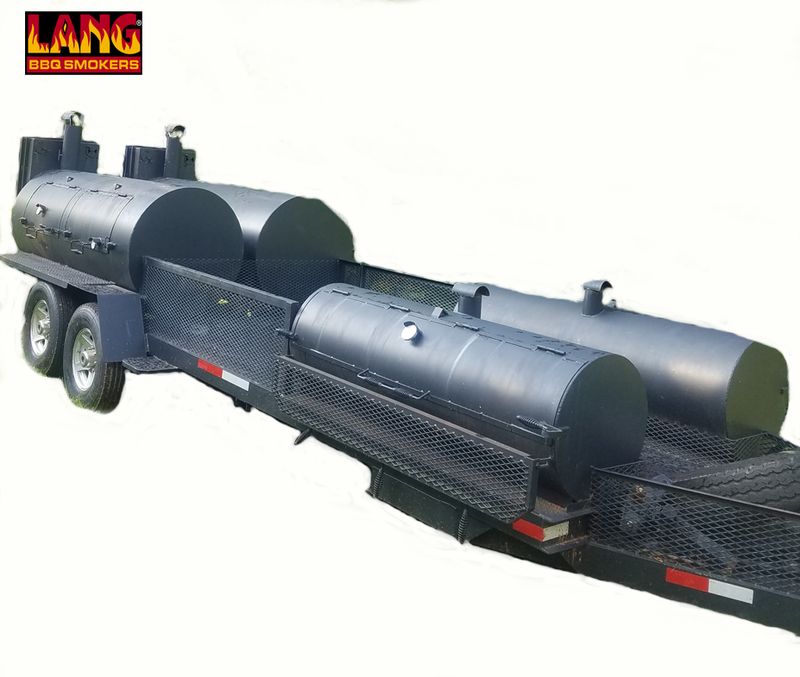 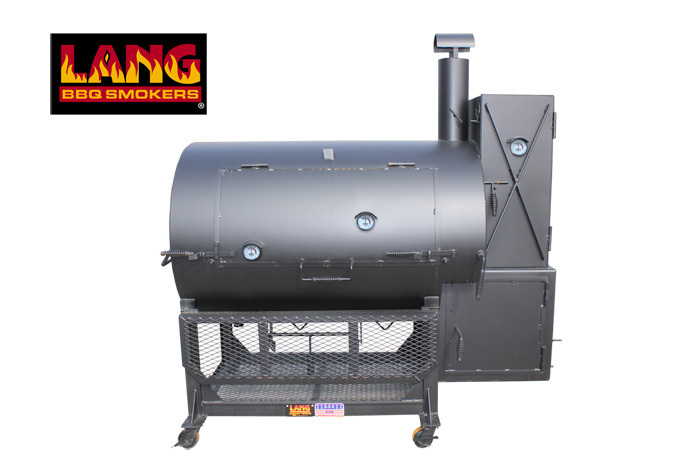 At checkout, be sure to choose "Flat Rate shipping for Bundle ONLY"
You can also choose to pick up your bundle at the Lang BBQ Smoker's Facility in Nahunta, GA. 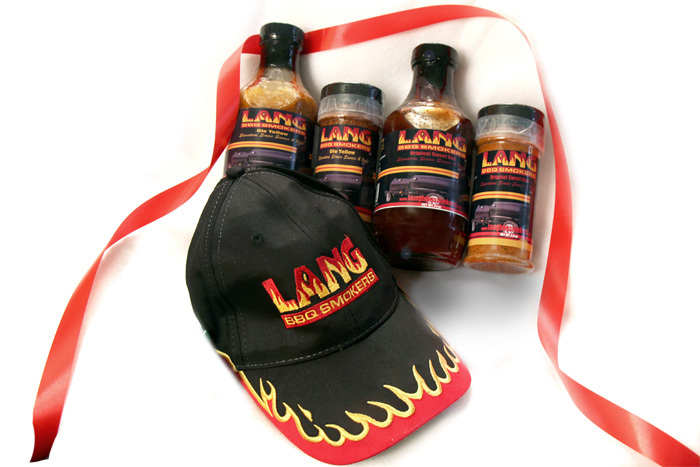 Choose any 2 sauces and any 2 rubs, and receive the black flame hat as well! 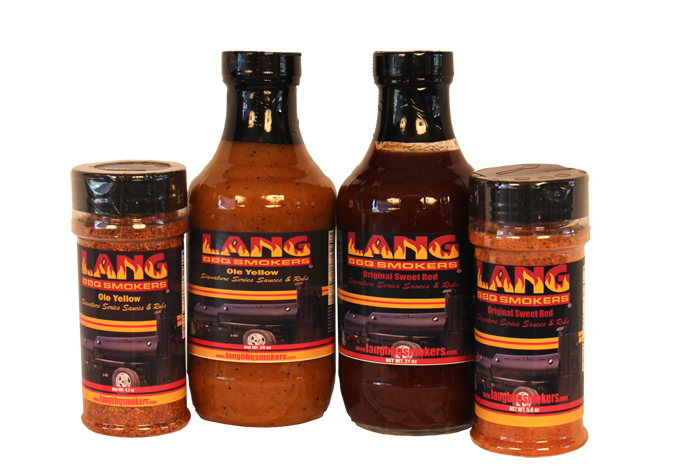 Choose any 2 sauces and any 2 rubs! 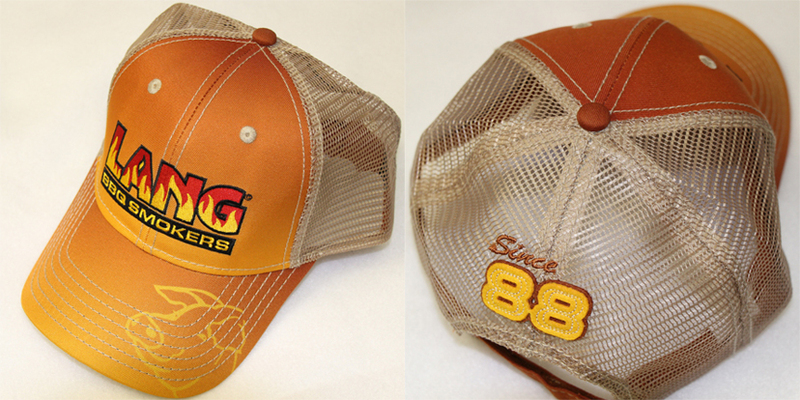 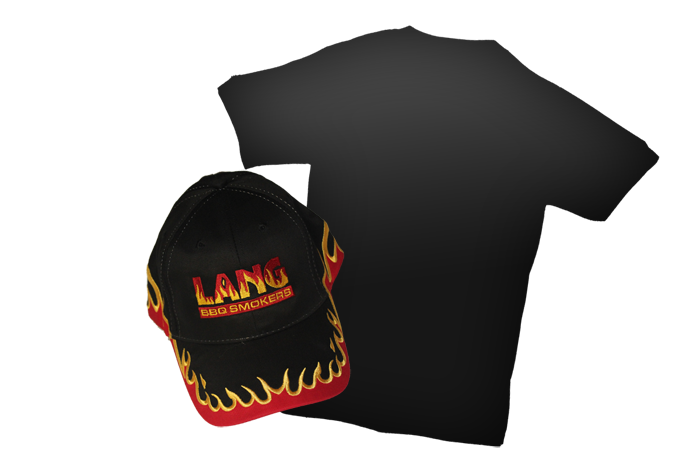 Receive 1 black flame hat and 1 one of the two offered shirts! 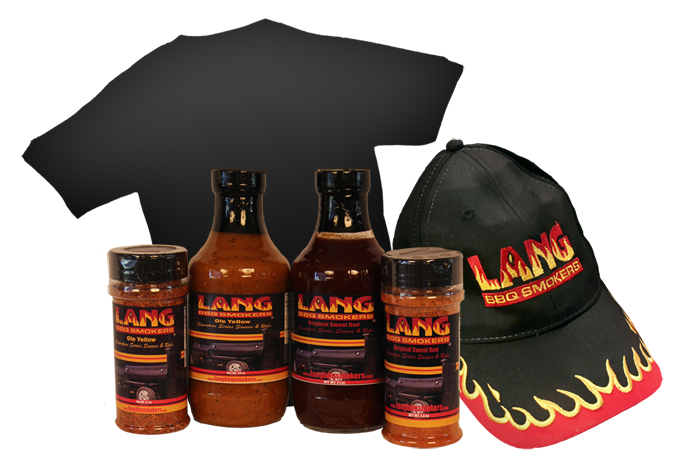 Choose any 2 sauces and any 2 rubs, along with your shirt size for one of the two offered shirts, and receive 1 black flame hat! 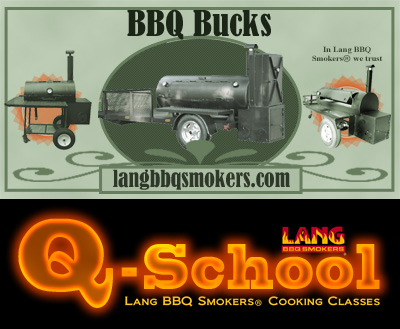 Our next Q-School will be held on Friday April 12th 2019 and Saturday April 13th 2019. 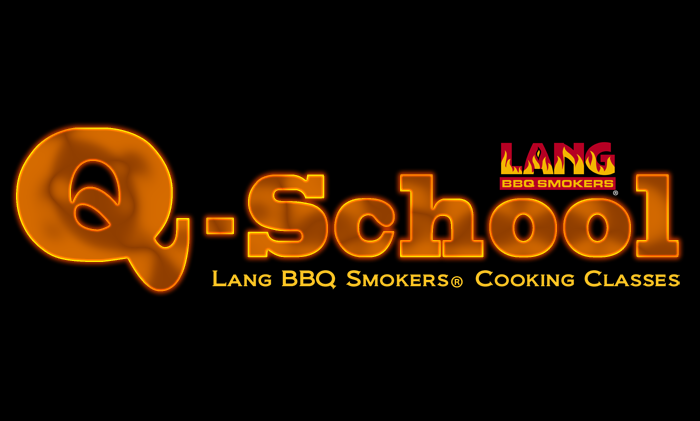 Chef Paul Kirk, The Baron of Barbecue, will be teaching the April classes. 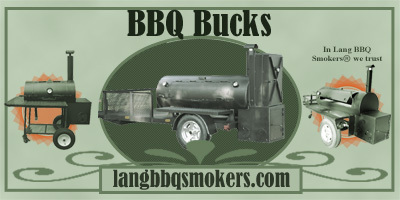 6ft x 2 1/2ft vinyl banner that comes with clear adhesive hangers in the box. 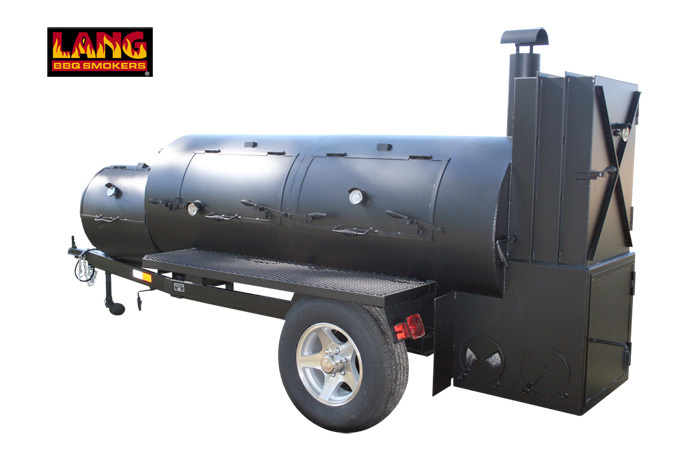 This item is drop shipped through the vendor.